Beagles and Books is proud to participate in Multicultural Children’s Book Day 2019! 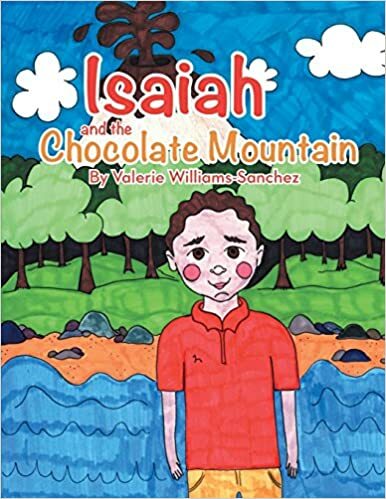 Special thanks to author/illustrator Valerie Williams-Sanchez for sending me Isaiah and the Chocolate Mountain to review. All opinions are my own. Everyone in Isaiah’s family loves chocolate except for Isaiah. He doesn’t like the way it smells, tastes, or looks. Not knowing his aversion to chocolate, his aunt gives him seven chocolate bars as his birthday gift. Furious and frustrated, Isaiah reacts negatively to the gift and runs out the door. Isaiah walks so far that he becomes lost and to his surprise, he is on a mountain made of chocolate. How will Isaiah get home? Isaiah and the Chocolate Mountain is a book I would recommend to my guidance counselor to support students who get upset easily when things do not go their way. In the story, Isaiah had to problem solve to get home and explain his feelings to his aunt. This story could help students communicate their own feelings and brainstorm ways to cope when a problem arises. For more details about other books in the Cocoa Kids Collection, please click here.